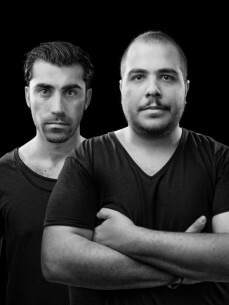 The Scientists of Sound" was founded in 2012 from the collaboration of DJ’s: Roberto Reale and Fabio Giunta. Their paths crossed by chance in 2011 on a lively summer evening, when they discovered that they share the same natural musical instincts. Roberto Reale began his DJ career in 2001 spinning in various local clubs and at the best galas, also lending his voice to many radio stations. Fabio Giunta, a collector of vinyl records, took the same route in 2000 becoming a resident DJ at various clubs and overseeing the music selection in a variety of fashion and exclusive parties. "The Scientists of Sound" is a collaboration of these two professionals, specializing in Soulful House Music, Melodic Grooves from Soul, Funky Jazz and Gospel Choirs selections. Layers of lush pads surround and fill the intimate spaces with deep sound. Vintage keyboards such as the historic Hammond B 3 and various wind instruments add an extra touch of class. Currently, "The Scientists of Sound" are in a production partnership as Assistants at "VJSinc", a known portal for buying digital music. Among the most important partnerships is one with the legendary Dee Jay/ Producer Victor Simonelli, a leading authority in the House Music genre and owner of several record labels including BassLine Records, Unkwn Records, and West Side Records. For 2014, "The Scientists of Sound" are in involved in many exciting new collaborations that are taking form and pushing new boundaries.